You know LinkedIn is the go-to-site for networking with other professionals in your industry, but don’t overlook LinkedIn when it comes to marketing your small business. If you’re not familiar with LinkedIn or think it’s just for people looking for jobs, it’s the top social networking site for professionals. 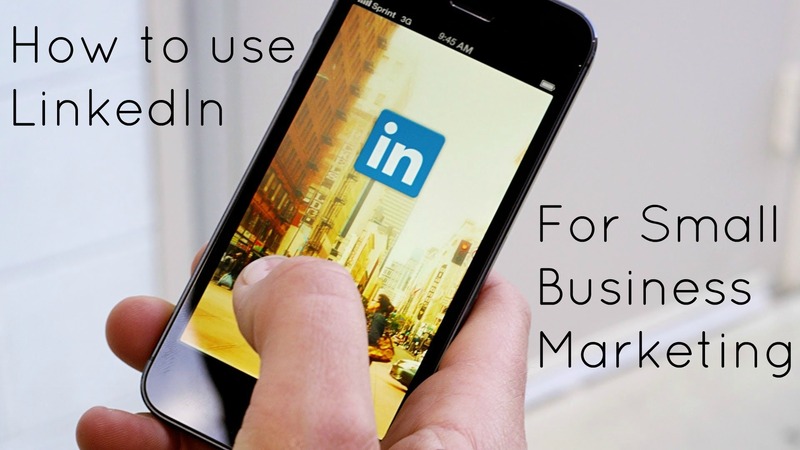 These tips will teach you how to use LinkedIn for Small Business Marketing. There are no “personal” pages, individual profiles are all about your industry, experience, and the work you do. As a business owner, your professional profile is one way to showcase your business. When you invite other professionals to connect with you, they can view your page, including the details of your business. But that’s just the tip of the iceberg. From your professional profile, you can create a Company Page, so your company truly exists on LinkedIn and may be displayed on the professional pages of your employees and contractors. You can post updates and create a group to start discussions with other professionals. 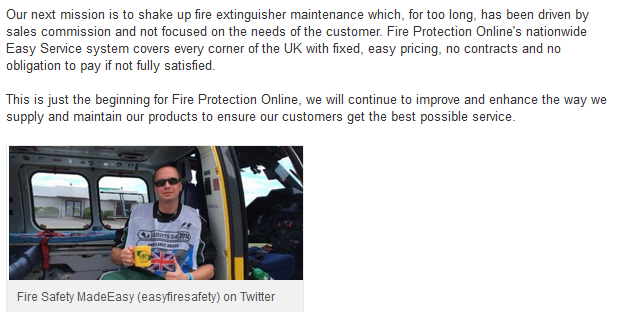 Create your profile and company page with your customer in mind. These tips on how to visualize the perfect customer will definitely help. 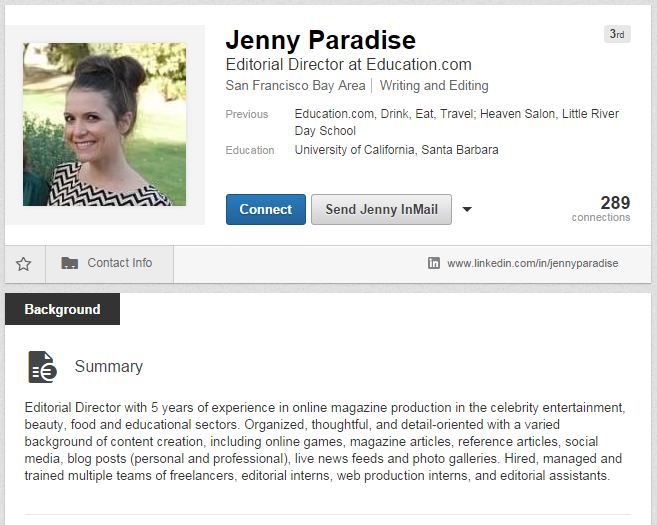 Yes, it’s pretty much a multimedia online resume. If you have a recent resume handy, it shouldn’t take too long, but completing a LinkedIn Profile generally takes much longer than other social media profiles. It might be tempting to leave it less than complete if your main reason for creating a profile is to create a Company Page, but don’t do it. Aside from the fact that it will hinder your networking opportunities, it just looks unprofessional. Adding media makes your page stand out, and LinkedIn has made it extremely easy to do: When you add a position or school, there is a rectangular media icon with every entry that allows you to enter a URL, which is generated into a thumbnail that links to the media. What kind of things might you add? Examples of your work, links to news stories about you or your business, company videos — anything that will enhance the entry. In fact, this article on creating an ideal blog post to enhance your business and keep your readers coming back for more might offer some insight to your creativity. 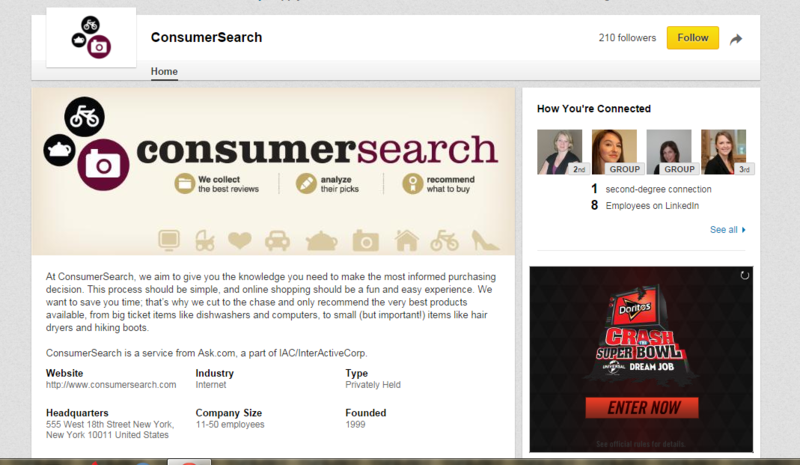 Like most social networking sites, LinkedIn makes it easy for you to locate your existing contacts. It also allows you to find Alumni from your schools, and will suggest people you might know, such as people who have worked in the same company as you, people with similar location and industry background, and connections of your connections. LinkedIn discourages connecting with people you don’t know, even if they’re suggested to you. Choose your connections carefully. If you send a Connect invite to someone randomly and they indicate they don’t know you, you will be required to enter the email address of anyone you invite in the future. This doesn’t mean you have to be close friends with everyone you connect with, but they shouldn’t be random. Invite colleagues, former classmates, and people you’ve done business with first and foremost, and allow your connections to grow from there. Your Home Page displays a feed of updates from all of your connections, including companies you follow. If you plan to focus on a Company Page, you can post most of your updates through that Page (more details below). To add updates from your Professional Profile, just add text or a link to the “Share an update” box. All updates should be professional. You can increase your visibility by commenting on your Connections’ updates — they’ll be seen by your Connections’ Connections, even if you’re not connected. In addition to a feed of updates from companies you follow, you’ll see a “Create a Company Page” area. Don’t leave any of these fields blank. Your company is now listed in LinkedIn’s Company Directory, and will be recommended to people with the same specialties and/or Industry on their profile. If they follow you, your company updates will appear in their company feeds. The simplest way to create updates for your Company Page is to post all of your business blog posts as updates. You’ll get a link with a nice thumbnail image (if you’ve used a photo in your blog post, which you always should). Other updates might include company news, links to news articles about your company, and even the occasional inspirational quote. Unlike other social media sites, LinkedIn isn’t the place to occasionally post jokes and funny pictures to keep your followers entertained. Stay strictly focused on business and providing information. A LinkedIn Group is a great way to interact with other users, especially people you don’t know. Once a group is created, you can associate it with your Company Page. You have the option of making your Group Auto-join or Request to join. Make sure “Display in Groups Directory” and “Allow Members to Display Logo on their Profiles” are checked. This will also send an update about your Group’s creation to your Connections. Click on “Create an Open Group” once you’ve filled everything in. Now you’ll need to get things rolling. Start discussions on a regular basis. Eventually, if you’ve engaged your group members enough, they’ll start adding discussions themselves. That will save you from having to come up with all of the topics, but you still have to participate. All in all, LinkedIn can be a quite high-maintenance social media marketing endeavor, but, like anything, you’ll get out of it what you put into it. At the very least you should create a Professional Profile and a Company Page for your business. But don’t expect them to really work for you if they just sit there. Send us your LinkedIn profiles and company pages. We’d love to link up and see what you are up to.